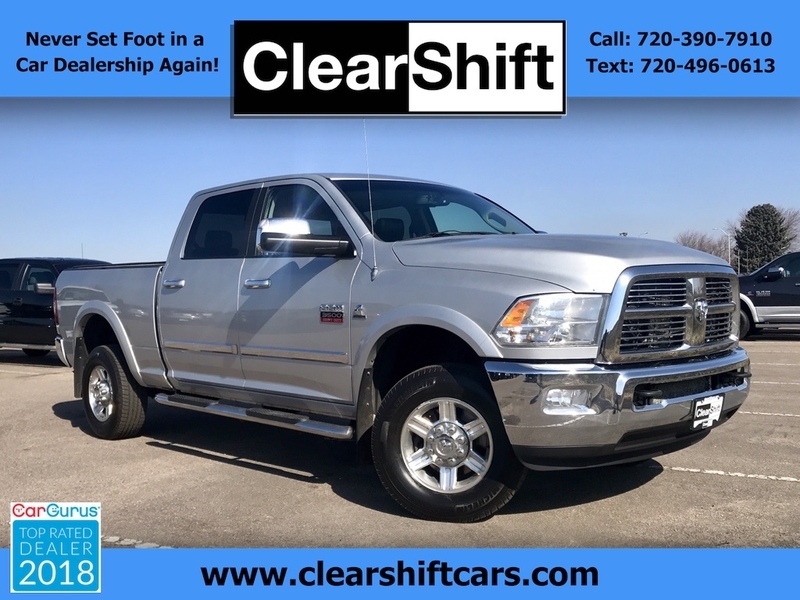 Our 2010 Dodge Ram 3500 Laramie Mega Cab 4x4 helps you handle the tough jobs with the power you need and comfort you want. Powered by a TurboCharged 6.7 Liter Cummins Diesel 6 Cylinder generating 350hp while paired with a strong Automatic transmission. This Four Wheel Drive provides terrific performance for all your towing and hauling needs with a blend of comfort and style. The muscular exterior shows off privacy glass, a tonneau cover, step bars, chrome accents, and great looking alloy wheels. Inside our Laramie, you will be treated to heated and ventilated leather seats, heated rear seats, heated steering wheel, a large sunroof, rich wood grain accents, a touchscreen display, an AM/FM/CD/MP3 audio with available Satellite radio, and full power accessories. For added peace of mind, Our Dodge Ram 1500 Laramie included a multitude of airbags, 4-wheel ABS, and a backup camera to their long list of safety features. Step up to this outstanding machine! Print this page and call us Now... We Know You Will Enjoy Your Test Drive Towards Ownership! Odometer is 11335 miles below market average! Message: Thought you might be interested in this 2010 Dodge 3500.